This was my first stop in Oklahoma. 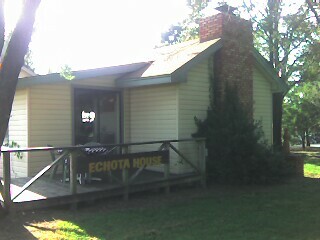 It's called Echota House, and it really is just a house, but the food is amazing. I had samplings of quail, buffalo steak and trout. Oh, and a berry cobbler that I finished before taking my next breath.